Nuance Communications Inc. (NASDAQ:NUAN), the speech-recognition software maker in which investor Carl Icahn recently took a stake, is seeking advice from Goldman Sachs Group, Inc. (NYSE:GS), according to people familiar with the matter. The precise nature of the work Goldman is doing isn’t clear, but the Wall Street firm is often called in when companies are under pressure from investors such as Mr. Icahn who are known for pushing for major changes like the sale of a division or the entire company, or a big stock buyback. 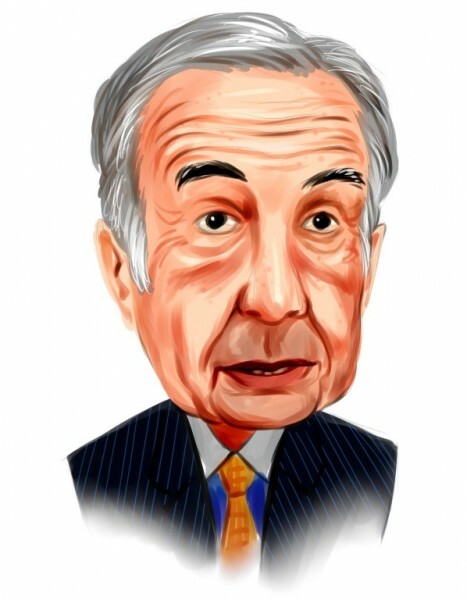 Affiliates of Mr. Icahn on April 1 disclosed a 9.3% stake in Nuance Communications Inc. (NASDAQ:NUAN), without detailing any specific intentions. The disclosure was made in a filing that indicated the investment is passive, but that wouldn’t stop the billionaire investor from shifting into activist stance later on. The one thing you can guarantee when investing in hedge funds is, the managers are going to get rich…even if the investors don’t. Don’t get suckered into believing you will be taking your investing strategy to the next level. The difference between reality and perception is stark and the only people sure to win are the managers themselves. The annual report on the 25 highest paid hedge fund managers came out last week and the results were no less outrageous than they have been for years: $14.1 billion in pay and paper profits on their own investments in 2012, slightly down from 2011’s $14.4 billion, according to Institutional Investor Alpha’s Rich List. You can do the math – the average top 25 hedge fund manager took home $564 million in 2012, down from $576 million in 2011. The big question is, what did these managers do for their investors to earn these kinds of sums? After all Lloyd Blankfein, CEO of Goldman Sachs Group, Inc. (NYSE:GS), took home a measly $21 million. Running a hedge fund is a sure path to riches with news that the world’s top 25 managers took home a combined fortune of £9 billion, says Institutional Investor’s Alpha. From that total, nine of them made more than £328 million each. Closer to home, Peter Hargreaves made his fortune as a partner in investment funds and is listed in the Sunday Times’ Rich List. He co-founded Hargreaves Lansdown with Stephen Lansdown and after starting trading in a Bristol bedroom they turned the firm into the one of the UK’s leading financial services businesses. Peter is now listed at number 47 on the list with a fortune of £1.53 billion while Stephen is placed 95 with a £900 million fortune. A top deputy of Jeffrey A. Martinovich said Wednesday he was unaware of any role the former financial service company CEO had in inflating the value of a solar company in which a Martinovich hedge fund owned a large stake. Kevin Cadieux was at Langley Air Force Base when he first got to know Martinovich, who’s on trial in federal court facing multiple fraud charges. Cadieux took over operations at Martinovich’s company, MICG Investment Management, in January 2008. He said he attended a series of meetings that included discussions about an MICG hedge fund called Venture Strategies that was managed by Martinovich and is a focus of the government’s case. Lansdowne Partners Ltd., the biggest European hedge-fund firm focused on stock picking, said it abandoned a more than four-year bearish bet against Prudential Financial Inc (NYSE:PRU) after suffering “meaningful” losses. Lansdowne’s $8.6 billion Developed Markets Fund exited the short position in the first quarter after determining that the stock won’t fall “any time soon,” according to a letter sent to clients this month. Lansdowne has been betting against the U.K.’s biggest insurer by market value since at least January 2009 in a wager that had a value of 259 million pounds ($395 million) last month, regulatory disclosures show. Shares of Prudential, led by Chief Executive Officer Tidjane Thiam, have more than doubled since the start of 2009 on Asian growth and U.S. annuity sales. Lansdowne said the insurer can’t sustain its Asian profits and that the annuity business is “far riskier” than investors and regulators assume. Billionaire investor John Paulson told investors on Wednesday he is staying the course on gold even though there may be more short-term volatility in the price of the metal. The New York-based hedge fund manager has long stuck by his thesis that gold will someday be a powerful hedge against inflation, and it was no different on the investor call he held, two people who listened to the call said. John Reade, a partner at Paulson & Co, said that the firm, which oversees about $18 billion, is not veering off its course even as he cautioned that there could be more price fluctuations in the short term.